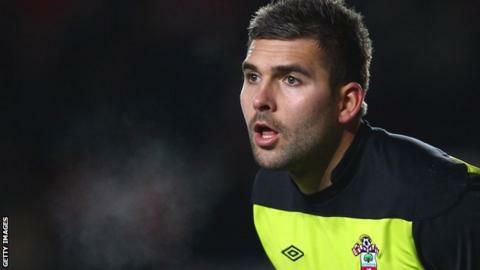 Notts County have signed Polish goalkeeper Bartosz Bialkowski on a free transfer from Southampton. The 24-year-old, who has signed a three-year deal, joined the Saints in January 2006 and has also had loan spells at Ipswich and Barnsley. "I'm really excited to be here, to join such a big club as Notts County," said the ex-Poland Under-20 international. "He's athletic, tall and kicks the ball well," manager Keith Curle told the club's website. Bialkowski made 41 starts for Southampton in six and a half years at the club - the last of which came in a 3-2 home defeat by Millwall in the FA Cup in February. Explaining his reasons for joining County, he said: "I came here because I want to play football and I will do my best to prove that I can be a top keeper. "I have not given up on the national team, I still want to play for Poland."